Remember the year 2011? It was a heady time, full of promise and movie theater restaurants. Yeah, even if you remember 2011, you may not recall the blink-and-you'lll-miss-it trend that hit Vermont that year. Oscar's at Williston's Majestic 10 and Essex Cinemas' Club Take 2 meant a moment for restaurants in movie theaters. That moment was over by 2012, when only the long-lived Big Picture Theater remained. What should we expect, then, for Middlebury's Marquis Theater, which opened its Southwestern-style restaurant in October? I stopped in on Sunday to check it out. It's possible to purchase and bring not only food but beer, wine and cider into the two theaters, now outfitted with comfy couches ideal for snacking. I stayed on the bottom floor, a former third screening room that's been transformed into an airy eatery with two levels of tables. The 12-foot screen was showing a football game, but the handful of other customers seemed more interested in the food. Me, too. And for $31.90, I got a lot of it, including an appetizer-size cup of movie theater popcorn for my popcorn-mad other half. The highlight for me was the first thing brought to our high-top table. 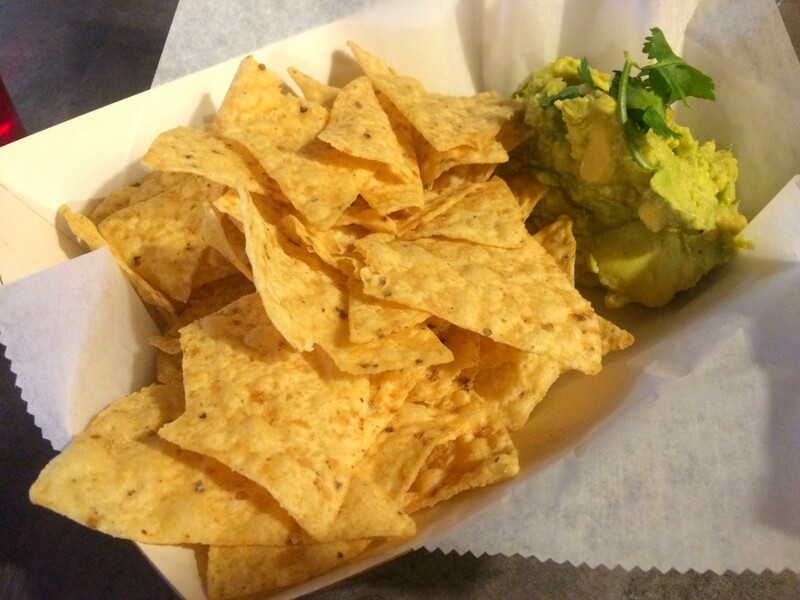 Though served with out-of-the-bag tortilla chips, the guacamole was handmade to order, and its fresh, bright taste reflected that. Citrus dominated the ultra-creamy concoction, and cilantro gave it an additional dimension of light. Also worth mentioning: There was more of it than this photo might have you think. My dining partner and I ate it assiduously and we still didn't finish all of the chips and dip. 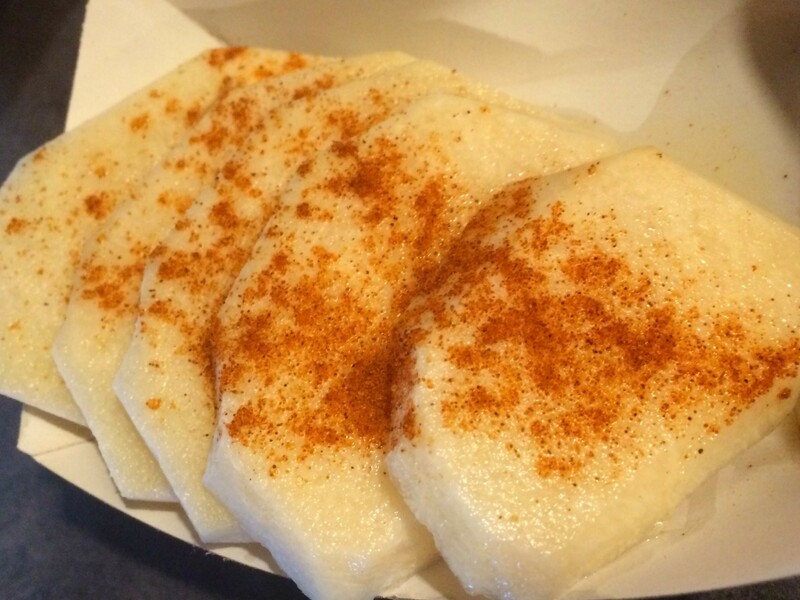 I couldn't resist ordering a $3.50 plate of sliced jicama, just because I was jazzed to see it on a menu. Who doesn't love the sweet crunch of the watery root? In this case, the chunks were doused in lime juice and sprinkled with chile powder. In theory, this sounded like a great way to give the veggie some Mexican kick, but it diminished the root's natural sweetness. Still, it was a fun way to get some roughage. 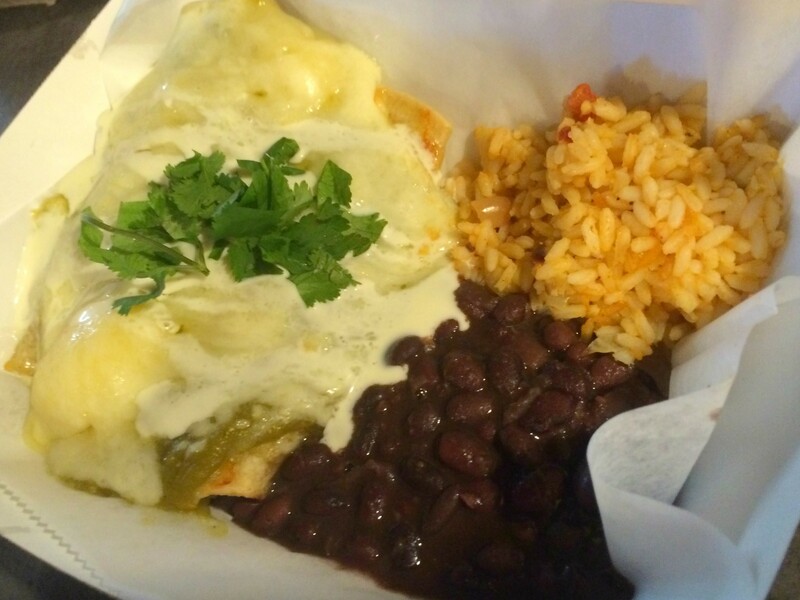 I'm an enchilada aficionado, but a picky one. A sauce-softened corn tortilla can bring me pretty close to ecstasy as long as it's not choked with cheese. This one was. At least it was a creamy, flavorful cheddar, but I ended up peeling away most of it in order to uncover the lightly spiced green chile sauce I was looking for. I prefer my enchilada filling braised to extend the softness of the exterior. Chewy chunks of chicken were less than ideal, but I did appreciate their smoky flavor. Points also for reasonable portions of beans and rice. At most Mexican spots, I feel wasteful when I have to leave a pile of starch on the plate after finishing the rest of the entrée. At the Marquis, the petite piles of spiced Mexican rice and unexpectedly sweet black beans were just right. 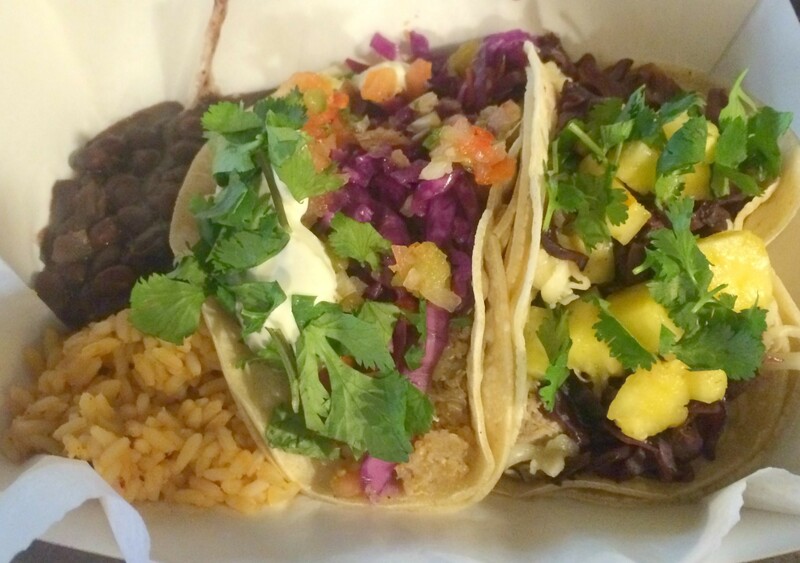 Tacos, like pizza, are simply one of those foods that are good even when they are bad. Still, the two (of four options) that I tried were a bit of a mixed bag. The rich, braised pork of the carnitas could have used some spice, but I was otherwise impressed with the combination of chipotle-braised red cabbage, juicy pineapple and cilantro. On the other hand, the quinoa taco, the one I had most anticipated, fell flat. The description on the blackboard up front said the tender seeds would be accompanied by roasted corn, pine nuts, house slaw and tomatillo salsa. But on top of the unflavored quinoa, all I found was some slaw, pico de gallo and a huge blob of sour cream that splurped out of the top of the tortilla as soon as I picked it up. 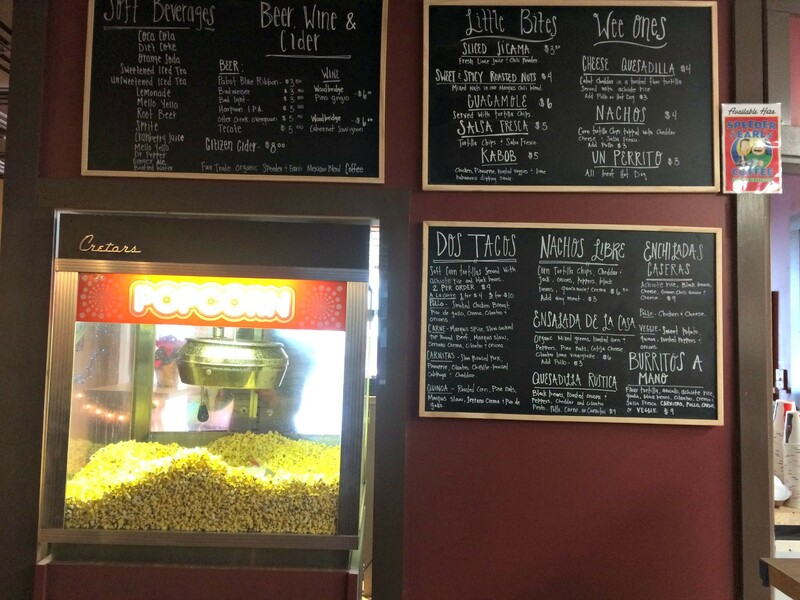 The movie theater restaurant is a great concept and something that makes sense for artsy Middlebury. The town also needs a Mexican restaurant. But until the rest of the menu matches the promise of the guacamole, I'll probably grab dinner before the show.